Canadian composer Kristofferson has here written a beautifully melodic and poignant reflection on a young life ended far too soon. 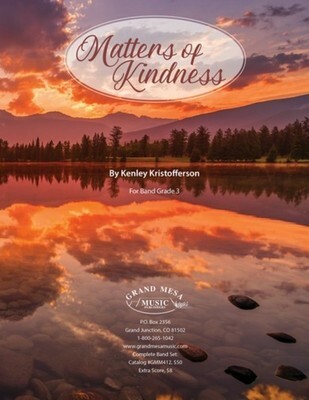 Featuring lush textures highlighted by an optional piano part, the vision of 'kindness matters' (the favorite saying of Madison Fleming) guides and informs this wonderful new lyrical band work. It will surely be an inspiration to your students, and a remarkable chance to connect with true beauty.